If you own a small business, you have the opportunity to build business credit. This is a credit score much like your personal credit score, but it represents how likely your business is to pay back a loan. The more business credit you have, the more money your company can borrow. Here is a guide on how to establish business credit. What Is Business Credit Used for? It’s hard to be motivated to establish business credit if you don’t know what it can do for you. In essence, you can use your business credit to do anything you would use your personal credit for. If you need a business credit card, a business loan or to rent an office, you can utilize your business credit to get the help you need. This is beneficial for people who have bad personal credit because they do not have to bring their own struggles into their work. They can still get loans and credit lines because their business has proven itself trustworthy. In order to build business credit, you obviously need to have an actual business. Calling yourself a business isn’t enough. You need to be an LLC, a corporation or a legal partnership. Most states will now allow you to register your business online, but you can also do this with the Secretary of State’s office for your place of work. You’ll need to tell them a little bit about your company and overall plans, and then they will let you know which option is right for you. In addition to having a registered company, you will need an Employer Identification Number from the IRS. This acts like a social security number for your business. You can use it for a variety of tax purposes, as well as loans that you file for under the business name. All of your business credit will be linked to this number. It is easy to apply for an EIN online or get one over the phone, and it costs nothing for you to complete the paperwork. Ideally, you also need to have a bank account under your business name. You can pay yourself out of this account like normal, and it will provide an accurate record of what your business earns. You will need this information when you start applying for financial support. You should also keep copies of tax returns and income/loss statements to use in the future. The more information you can provide about your business, the better off you will be. With the right documents in place, it’s fairly easy to build business credit. 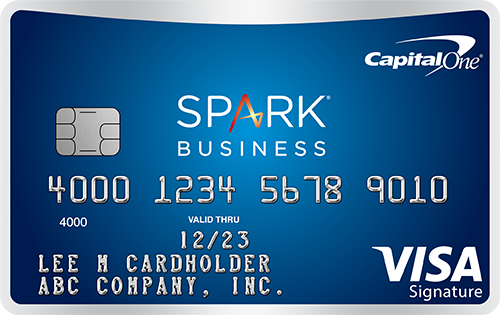 Apply for a starter business credit card, like the Capital One Spark Classic for Business. 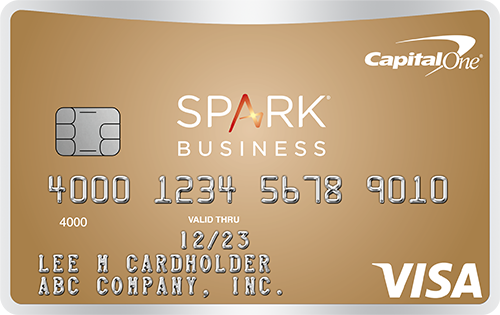 Later on, you can apply for upgraded versions of those same cards or others that require good to excellent business credit like the The Blue Business℠ Plus Credit Card from American Express. You will need to include your EIN with your application. Once you have your business credit card, start using it for your business expenses. You can pay it off quickly online so you don’t have to worry about interest or debt. Your goal here is simply to show activity on your account. If you can continue to use the card for six months to a year, you will be able to apply for a better card, or maybe even a loan under your business name. Then, you can continue to use the money and make payments to build your business credit. You may also consider financing a vehicle under your business name or putting a loan for an office on your business credit. You may have to guarantee the loan with your personal credit, but the credit you build from this loan will be for the business. Over time, you won’t need to use your personal credit at all because your business will have proven itself. Note that establishing business credit does not happen overnight. In many cases, it may take years for you to build up enough positive credit.